Thiago Arancam has won 3 Prizes of Operalia 2008 and audience in Munich loved him, just like the audience in Stockholm did. For me he does not have a great voice. Once he can sing all notes free and unguarded then I might like him. The way he sang ruined the flower aria for me, I could not wait for it to stop. The duet in the end was much better. He seemed freer and I could enjoy some if his notes. Nancy Fabiola Herrera is the Carmen of our times. 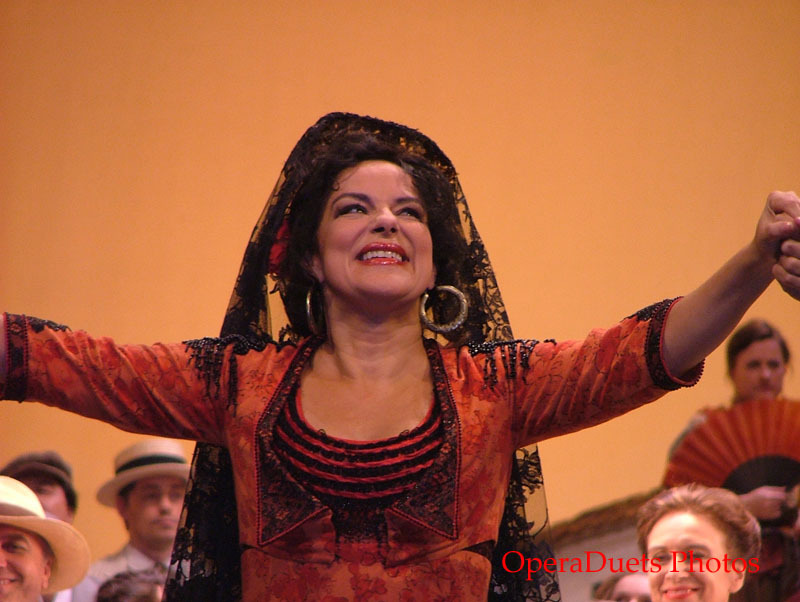 I have heard more exciting singing but she makes CARMEN totally Spanish. And I just love her interpretation. I just want to shout Viva España!! Viva Nancy!! BRAVA!!!!!!!!!!!!!! Vitaliy Bilyy was superb as Escamillo. His looks, singing and acting was superb! It seems to be hard to find a great Escamillo these times. But now he is found and the perfect Ecamillo is Vitaliy Bilyy!!!!!! BRAVO! Aga Mikolaj was Micaela. Her French was not that good (like Arancam whose French was...), but all could be forgotten. She was a marvellous Micaela. BRAVA!! Lovely production!! What a CARMEN, Nancy Fabio Herrera!! !